When you need a smaller business bag, this deceptively roomy new design will be the perfect solution. 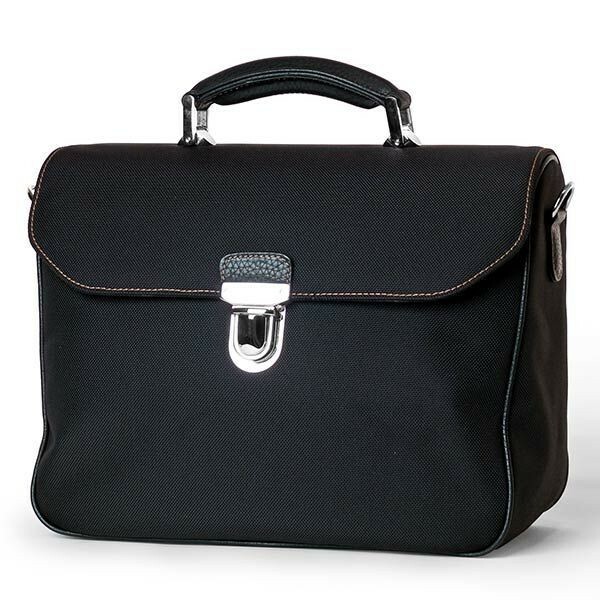 An original design rendered in hardwearing nylon with a comfortably padded super soft handle together with shiny silver metal hardware to complete the look, it creates a smart and elegant look, perfect for those important business meetings. 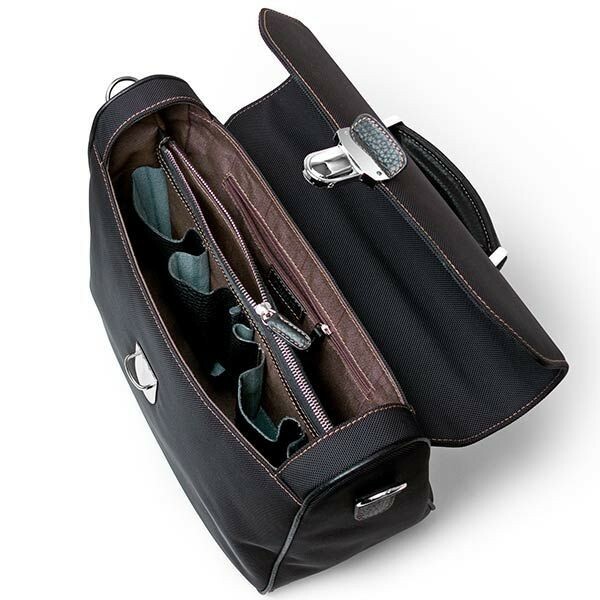 The flap lifts to reveal two incredibly roomy sections divided by a zipped central compartment and pockets galore for all the smaller items you want to keep organized. Make the most of the attachable shoulder strap when things get hectic, sling it across your shoulder and sport the casual look with style.